This Hoo-rag headband was created in a beautiful and intricate lace design. Featuring simple and classic colors of black and white, it will go with any outfit, whether as part of your activewear or daily wear. 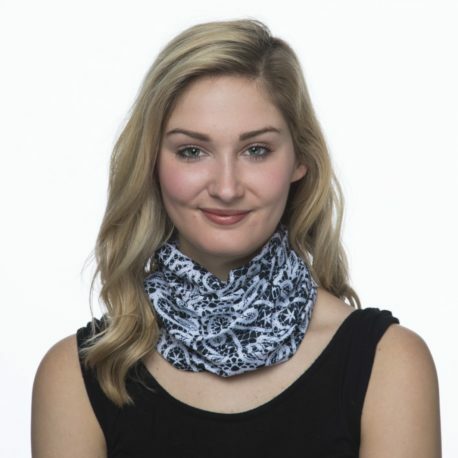 Half Hoos are perfect for all you Hooligans who like to rock the rag primarily as a headband, alice rag, neck gaiter and/or ponytail holder. 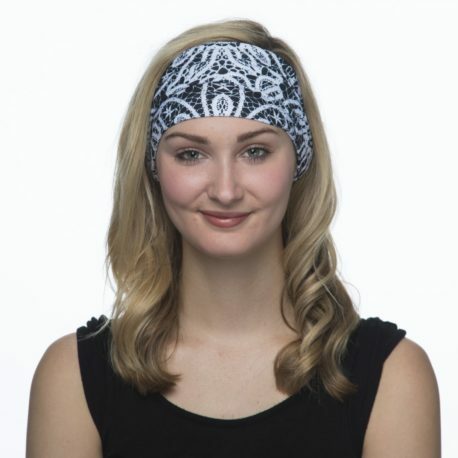 NOTE: This product is half the size of a full Hoo-rag. Approx. 10” x 9.5”. Up to 30 UPF sun protection rating. 100% moisture-wicking polyester microfiber. One size fits most. Machine wash cold. Line dry.